Discharging, rejecting upright and distributing: HEUFT has a suitable system in the range for all cases. Faulty or non-brand containers and products cannot get past them. The spectrum extends from compact single-segment rejectors to extremely powerful multi-segment rejectors invented by HEUFT. The HEUFT pusher transports full containers with a well-measured push into a bin. The single-segment rejector works precisely and reliably even on high-speed lines with an output of up to 130,000 containers per hour. It shows its true qualities particularly on canning lines. The HEUFT mono is a cost-effective single-segment rejector which removes full and empty containers reliably. It is ideal for use on filling lines with an output of up to 72,000 containers per hour. The HEUFT e-mono is a clever alternative to the HEUFT mono wherever the use of pneumatically operated rejectors makes no sense for economic or hygienic reasons. It does not need expensive compressed air and practically only uses electricity the moment its rejection segment is extended in order to transport faulty containers onto a rejection table or into a bin. It can even adapt the advance force of the rejection segment to the weight of the packaging during the rejection procedure due to its flexible control system. Faulty containers with different filling quantities are therefore rejected the same distance and taken to exactly the same lane. It achieves a maximum output of up to 180,000 containers per hour depending on the application. The HEUFT flip is a rejector for full and empty containers of all sizes. In comparison to conventional systems it manages with half the mechanical load of the lifting cylinder. The HEUFT flip is particularly suitable for the reliable upright rejection of light, cylindrical containers on lines with an output of up to 60,000 containers per hour. 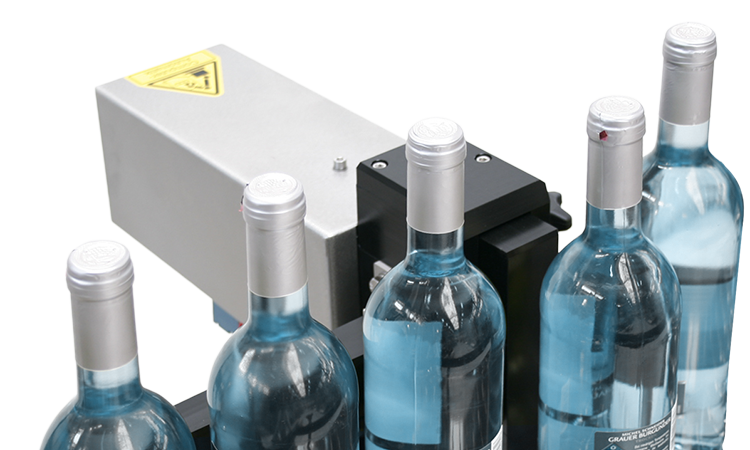 The HEUFT DELTA-FW was especially developed for the upright rejection and distribution of round, filled bottles and cans. It has up to sixteen segments forming a rejection curve along which the containers are guided. When a good container follows a faulty container the segments are only extended briefly so that the good container is not touched under any circumstances but the faulty container is rejected at all events. And that at line outputs of up to 150,000 containers per hour. The HEUFT DELTA-K is ideal for the sorting or upright rejection of empty containers as well as the distribution of empty and full containers. It has up to 16 segments which can be folded out individually so quickly that unsuitable containers can be rejected unproblematically without touching the preceding or subsequent containers. Therefore it only removes faulty products even at high line outputs of up to 72,000 containers per hour. The HEUFT XY distributes full containers made of PET and glass and even packages onto up to four lanes. Furthermore it sorts empty containers and rejects bottles particularly carefully without changing their alignment. Even very large, extremely lightweight, unstable container types of the most varied shapes do not present its servo-controlled rejection segments a problem. Therefore it is ideal for use on PET lines with a performance range of up to 36,000 containers per hour and on glass lines where up to 60,000 containers per hour are run.